Manufacturing in South Carolina has long been a central anchor to the local economy. With innovative giants like Boeing and BMW, airplane and automotive manufacturing provide support to a broad range of sub-contractors and parts manufacturers in the state. Like any manufacturing economy, research and development is crucial to economic expansion. Federal and state R&D tax credits are available to stimulate the effort. The present article will discuss South Carolina’s most innovative industries and present the federal and state tax credits available to support ongoing R&D efforts. To reward companies for increasing research and development activities in a taxable year, South Carolina offers a credit equal to 5% of the taxpayer’s qualified research expenses in the state. The term “qualified research expenses” for state purposes is consistent with that of the federal as defined in Section 41 of the Internal Revenue Code. The credit taken in any one taxable year may not exceed 50% of the company’s remaining tax liability after all other credits have been applied. Any unused portion of the credit can be carried forward for 10 years from the date of the qualified expenditure. In South Carolina, exports were up over $25 billion throughout 2012, and are expected to rise again pending 2013 reports. Much of these exports can be attributed to not only large manufacturers like BMW and Boeing, but also the wide array of subcontractors and smaller manufacturers which they support. BMW’s Spartanburg factory currently manufactures 300,000 cars a year, and exports 70% of U.S. production. Still, the plant shows no signs of peaking production anytime soon. The German automaker recently announced a decision to invest $1 billion in the facility and hire an additional 800 workers, making it the company’s largest factory in the world. Innovative parts producers such as Bosh, Dayco and JTEKT directly benefit from the continuous expansions and currently produce innovative products to meet the demand. 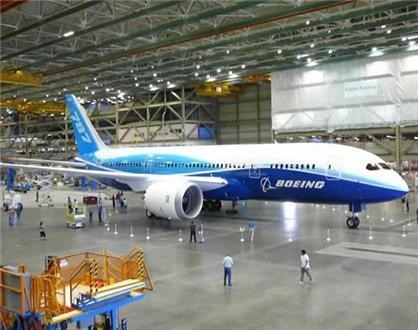 Boeing, in S.C. continues to expand its operations there with its final assembly plant for the 787 Dreamliner and its plans to construct two separate research and development facilities in 2015. Like the benefit the BMW plant provides, a wide array of innovative aerospace sub-contractors directly benefit from the expansions. South Carolina’s history in manufacturing, particularly in the textile and apparel segments has long been a significant anchor to their economy. Thus, it is no surprise that many residents grew concerned when industry began shifting operations overseas. Still, many jobs are being added to manufacturing related fields as the focus has shifted towards automobiles, aviation, chemicals, and technology. Moreover, many manufacturers who had previously outsourced operations to China have begun to reverse the trend as the cost advantages of off-shoring narrows due to rising labor and energy costs in China. For example, Elements Electronics, a local television manufacturer, had previously moved operations to China, but recently announced plans to open a $7.5 million plant at the old Perry Ellis facility in Fairfeild County. This announcement marks an important turning point which represents the reality of manufacturers “re-shoring” operations back to the United States and back to the Carolinas where the states favorable corporate tax environment and relatively cheap land and labor costs serve well to attract new innovative businesses. South Carolina has benefitted considerably from the continued expansion of BMW operations. The South Carolina facility currently employs 7,000 workers and also supports an extensive supplier network that employs an estimated 16,000 workers. Interestingly, the BMW plant hirings have a significant multiplier effect. It is estimated that each job created by BMW generates 4.3 jobs in other parts of the state. Given this, the 800 new jobs that will be added by the $1 billion expansion could indirectly create an additional 2,400 jobs in the state. As far as research and development, BMW erected the BMW Group Information Technology Research Center in 2005 as part of its regional investment and partnership with the State of South Carolina. Along with Clemson University, BMW, and the state have also created the International Center for Automotive Research and CU-ICAR campus. Both research centers house laboratories where research is conducted on prototype vehicles by BMW engineers and graduate school students alike. From these programs, BMW looks to create and recruit quality innovative engineers. The company boasts -- "Innovation is at the core of everything we do" says Trudy Hardy, Vice President of marketing at BMW North America. Some of these innovations involve fully automated cars, energy efficiency, and innovative accessories. For instance, BMW's new i3 "Megacity Vehicle" and i8 hybrid car are explicitly designed to compete with cars from the Silicon Valley start-up Tesla Motors Inc. Some innovative aspects of the i8’s design include a full-color 'Head-Up' display which projects the speedometer and turn-by-turn navigation instructions onto the windshield in order to keep the driver’s eyes on the road. Displayed below on the left is the i8's 'Surround View' monitor which gives drivers a 360 degree view and pictured on the right is the Head-Up display. Although BMW represents a large, integral aspect of the South Carolina economy, perhaps more significant is the over 250 parts suppliers, component manufacturers and other companies which support automotive manufacturing. The state’s skilled workforce and strong infrastructure make it a premier location for automotive companies large and small. In fact, South Carolina was ranked third in the nation in Automotive Manufacturing Strength in Business Facilities magazine’s 2012 Rankings Report. Bracket-less construction and enclosed tension springs to provide superior wiping performance in all weather conditions. Dayco is a leader in the research, design and manufacturing of a broad range of belts, tensioners and pulleys for the automotive and trucking markets. Although they serve a world-wide market they have significant operations in South Carolina with their production plant in Williston. Like all successful manufacturers, the company prides itself on its research efforts. Thus, it is no surprise the company stays invested in the most advanced testing and production equipment to validate systems and components thoroughly throughout the product development process. To keep pace with market requirements Dayco systematically pursues the constant improvement of its technological and qualitative capabilities. In fact, all company activities and processes undergo periodic review and improvement. Recently, (October 2014) the company announced plans to unveil two new serpentine belt designs. One of which, the Dayco Poly Rib W2 Serpentine Belt, is engineered to provide better noise control when noise is caused by misalignment, an on-going problem on high mileage vehicles. Randy Foster, Director of Product Technology for the Dayco North American Aftermarket division had this to say about the belt -- “We have tested this belt on highly-demanding drives during real world use and can say it is the quietest belt we’ve produced for our market." Typically, it is the expenses associated with this type of testing and the development efforts of these sorts of products that qualify for the R&D credit. JTEKT (Greenville, South Carolina) was formed in 2006 from the merger of two Japanese companies with a long time presence in North America. The merger combined the steering and bearing expertise of Koyo Seiko (operating in North America since 1958) and the machine and driveline expertise of Toyoda Machine Works (operating in North America since 1977). 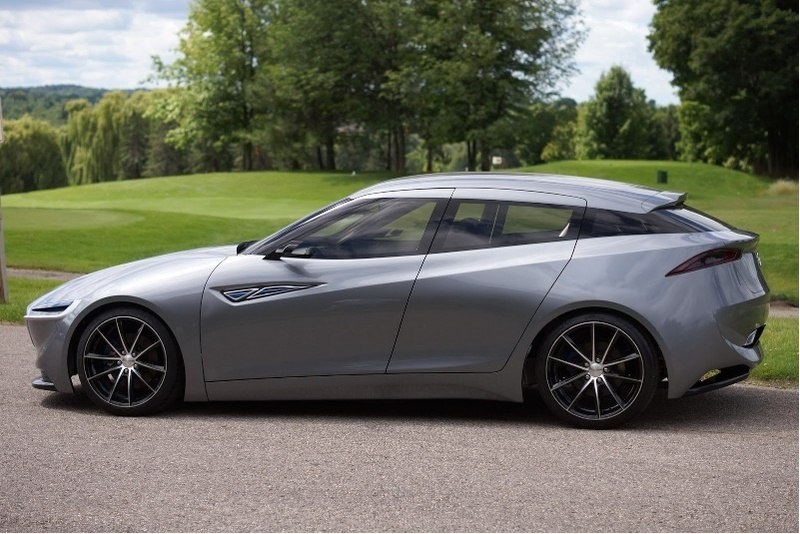 The merger created a global company capable of providing a diverse array of technology driven, high quality products to the world's leading automakers including BMW in South Carolina. The company boasts that it employs new technology to create new value. Some innovating technologies at JTEKT involve electric power steering systems and hydraulic power steering systems with motor driven pumps. JTEKT claims that these innovations are superior to conventional hydraulic power steering in regards to both efficiency and size and are attracting attention around the world as products that contribute to environmental conservation while enabling comfortable driving. Recently, the company expanded its Koyo-brand bearing manufacturing facility in Richland County, South Carolina. The 250,000 square-foot expansion will provide JTEKT with needed capacity to manufacture automotive wheel bearing hubs for its growing U.S. customer base and is expected to create 175 new jobs in the next three years. The expansion, the second for this facility, will double its size to more than 500,000 square feet to accommodate the growing business volume of Koyo wheel bearing hubs. Customers prefer the hubs because of their advanced technologies of superior bearing sealing capability, stiffness, weight savings and efficiency. It is these type of technology developments that typically trigger the R&D credit. For more information on R&D as it relates to the automotive industry see “The R&D Tax Aspects of Advanced Driver Assist Systems”. The South Carolina economy has benefited considerably from the buildup of Boeing’s production plants in Charleston which perform a number of critical manufacturing operations. Originally, Boeing S.C. only integrated sections of airplanes and shipped them off for final assembly. Today, the facility serves as the final assembly line for the 787 Dreamliner model. In April 2102, the first Dreamliner rolled out of the plant and took its maiden voyage a month later that May. Further expansions have been introduced as well. Ten miles from the final assembly division employees now manufacture and test interior parts at a separate recently erected facility. The increase in the production facilities has allowed Boeing to employee over 8,000 people in producing about 1/3 of its Dreamliners. But there are no signs that Boeing will limit its expansions in the region anytime soon. In early 2013, Boeing announced its plans for two additional Research and Engineering centers, the IT Center of Excellence, one of about 50 around the world, which opened in North Charleston earlier this year and the Engineering Design Center which will design and assemble 737 MAX engine inlets. Construction plans are set to begin in mid-2015. For more information see “The R&D Tax Credit Aspects of a Non-Dysfunctional Airline Industry”. Cytec is a world-wide producer of innovative materials designed to withstand particular environments and conditions such as the radical temperature fluctuations that typically occur inside an airplane which requires materials to expand and contract accordingly. The company has significant operations in Piedmont and RockHill which supply raw materials to companies like Boeing. But aerospace is not the only industry which demands these types of innovative products. The company serves various markets including agriculture, automotive, defense, energy, medical/pharmaceutical and mining as well. Cytec boasts that “Research and collaboration is at the heart of everything we do. We participate in and lead a wide range of collaborative research and technology projects, working alongside customers, suppliers, universities, research technology organizations and more.” For example, the recent replacements of large aircraft fleets around the world is driving the demand for lighter, stronger, and more advanced materials. New technologies are making it possible to surpass previous performance limitations, expand design options and lower parts costs in order to meet this demand. Many of these technology developments are funded by a number of public sector agencies. Others are internally funded collaborative ventures working closely with both industrial and academic partners. This type of collaboration is essential because most products are specifically developed with each individual customer’s particular needs and specifications in mind. If you thought for some reason that a simple mechanism like a spark plug did not involve constant R&D, boy were you wrong. The visual below demonstrates how constant product developments allow champion to develop more high-performance, aviation grade spark plugs than any other company in the world. 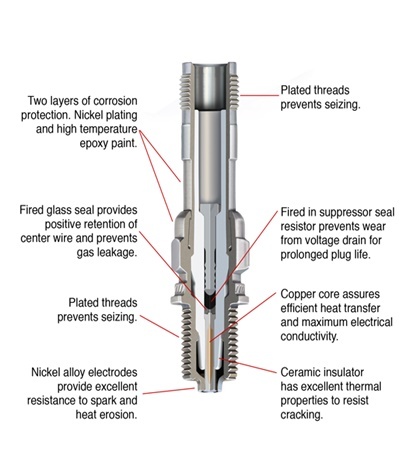 Illustrated below is a demonstration of the Champion Aerospace spark plug technology. As manufacturing becomes more sophisticated, new innovative ways of creating products are constantly emerging. Particularly, 3D printing is perhaps the most pervasive of these technologies. 3D printing is a broad innovative technology field that impacts almost every modern industry from aircraft to apparel to automotive manufacturing. 3D Systems in Rock Hill, SC is a global 3D printing company that is capitalizing on this broad market potential. Recognizing the opportunity, the company creates product applications designed for a range of purposes from those useful in the aerospace/defense industry to that of help to the jewelry maker. Medical researchers use 3D Systems’ solutions to create custom-fit bone implants and automobile manufacturers are beginning to use them to print up car parts. The airline industry has taken a particular interest in 3D printed products as well. Many airplane component parts are made up of many smaller component parts. This creates a greater potential for malfunctions due to wear and tear because if one component part goes down the whole piece is liable to failure. However, with 3D printing even metal parts can be manufactured as one whole unit through a successive layering process. This process is more efficient and can also be used to create designs that can’t be made with traditional techniques. The result is that the finished product is often stronger, lighter and can withstand hotter temperatures inside the engine. Despite the wide success of the technology there are still many hurdles and much room for innovation. Among the current challenges to existing technologies are the limited speed and volume at which objects can be printed and the high costs involved. Still, the goal at 3D Systems is to make 3D printing useful and practical in every manufacturing setting and most non-manufacturing settings. For more on 3D printing see “The R&D Tax Credits and the U.S. 3D Printing Initiative” and “The R&D Tax Credit Aspects of 3D Bioprinting". Given the intensive automotive manufacturing nature of the South Carolina economy, much of the education in the state surrounds the automotive industry. At the Clemson University International Center for Automotive Research in Greenville leaders have one vision in mind – “To be the premier automotive research innovation and educational enterprise in the world.” Many automotive manufacturers and component parts makers also recruit from the community colleges which aim toward automotive specialization as well. Still, more conventional educational disciplines are pervasive here too. The Medical University of South Carolina received $213 million in federal R&D funds in 2011 according to the National Science Foundation. Although this is not as high as other nearby, leading, research intensive universities like UNC Chapel Hill, it is still a significant amount ranking the university 94th in the nation in this category right behind other research intensive schools such as Carnegie Mellon and just in front of well respected Universities like Stony Brook in New York and Dartmouth in Connecticut. The non-medical portion of the University of South Carolina also received just over $200 million in R&D funding which makes for a nice one-two punch given the small size of the state. This research portfolio, like most research in the Carolinas is driven largely by industry needs. The university is continuously analyzing the market and surveying industry leaders and automotive companies to determine their technology and R&D focus. This is consistent with the universities goal of providing economic development and practical experience to the local South Carolina economy. This however, is not to say that the university doesn’t encourage outside the box thinking. One of the programs at CU-ICAR is Deep Orange, a dream for any girl or boy who grows up loving cars. The students in the Deep Orange program get funding from major car manufacturers to build prototype cars of the future. These student engineers at Deep Orange work with the Art Center College of Design in Pasadena, California to come up with ideas for the next big thing automotive design and function. While some of their designs may never make it to market, the outside the box thinking encouraged by the program paves the way for future innovations in the industry. Recently, the Deep Orange's concept car for Mazda was revealed. Participants on the Americas Competitiveness Exchange trip in April were treated to a peek of the concept car with such forward-thinking design elements as hologram projectors for mirrors. This type of technology may be practical in the nearby future. Other nearby training institutions and colleges provide automotive training as well. The North and South Carolina community colleges represent an important component of the economy in the states. The intensive manufacturing nature of the economies demand a skilled workforce trained in technical applications. More than 75% of the campuses provide automated related training in order to accommodate the intensive automotive manufacturing industry. Still, not everybody in South Carolina makes cars. The state contains a handful of institutions such as the University of South Carolina which cater to a variety of academic disciplines as well. The Carnegie foundation has designated the University of South Carolina as an institution of very high research activity, its highest rating. Faculty from a diverse range of disciplines participate in research to benefit the people of South Carolina, the nation and the world by tackling challenges in the areas of health care, the environment, alternative energy sources and the creation of advanced materials. In support of the local economy, the university creates materials and researches ways to improve air travel and manufacturing, working in concert with makers of all types of aircraft and vehicles including Boeing and BMW to bring laboratory discoveries to the real world. Manufacturing has long been a central anchor to the South Carolina economy. Like any manufacturing economy, innovation is crucial to economic growth. Federal and state research and development credits are available to stimulate these efforts.